The Grandest Stage of Them All! 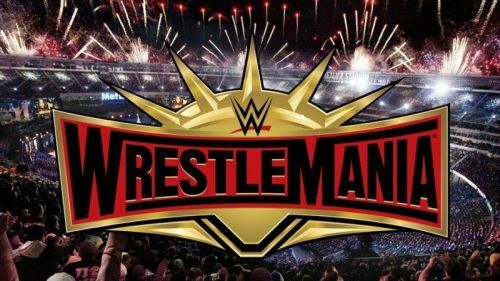 With less than 50 days remaining for WrestleMania 35, it is a very exciting time for any wrestling fan around the world. WrestleMania is widely considered as the grandest wrestling event of the whole year. From Seth Rollins winning the Royal Rumble to the whole Becky-Ronda-Charlotte saga, WrestleMania 35 is already shaping up very nicely. In the coming weeks, a lot more interesting feuds and clashes will be set up for the marquee event of the year. The Showcase of Immortals is known to have a good blend of in-ring quality and sports entertainment. With the threat of an upcoming competition in the form of AEW, WWE would want to put on a great show for the sold-out crowd of New Jersey. WrestleMania has always been the time when many part-time old-school superstars step up and get involved in storylines. The presence of these superstars from the past gives great mainstream attraction to the product. Like every year, veterans like John Cena, The Undertaker, Triple H and many more are expected to become a part of WrestleMania again. While it's always fun to watch these old-school wrestlers, the truth is they can't wrestle forever. So with that, let's take a look at 3 superstars who could possibly have their retirement match at this year's WrestleMania. It's only fitting for them to have their last hurrah at the Grandest Stage of Them All before diving into the dust. Is it time for the Olympic Gold Medalist to hang up his boots? 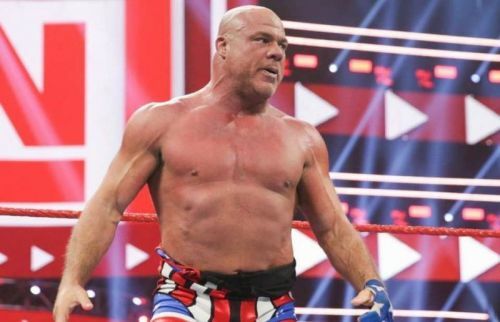 Kurt Angle is one of the greatest technical wrestlers in the history of WWE. There's no denying the fact that the Hall of Famer has been a huge part of WWE for many years. Even though his level of fitness at the age of 50 is commendable, Angle hasn't been in the best of shapes lately. His age is affecting his in-ring style, naturally. If his recent feud with the heel trio of Drew McIntyre, Baron Corbin, and Bobby Lashley is any indication, Angle might be having a retirement angle at the Showcase of Immortals. The rumors of him being in a very bad shape fuel the chances of this being his last WrestleMania, and maybe his last match. An upcoming talent like Drew McIntyre would hugely benefit getting a rub from Angle at WrestleMania. After all, he's still one of the biggest names in the world of professional wrestling.